Before drunken revelers rang in the calendar year 1960 with tenuous optimism, Edsel was already a dead player. A few unceremonious months out of the 1960 model year’s starting gate, Ford hoisted the white flag over its most infamous blunder, and from that point forward they realized that matching General Motors point for point was a fool’s errand. Even the number two automaker in America could not compete with the decadence that was GM in its prime, begetting a process of shedding brands that culminated (so far) in Mercury’s recent quietus. If the 1960 Edsel wagon looks familiar, it should. After all, Ford’s half-hearted attempt at badge engineering loosed a Pontiac Galaxie on an indifferent world, a world so unenthusiastic that a mere 275 of these Edsels in name only were trucked and trained from the front doors of the factories of America. This one’s met a sad end, but have you seen another? Full disclosure: I actually contacted the Edsel Club of America in an attempt to get someone, anyone, to save this old parts car. In a futile attempt to extract the grille from this weather beaten wagon, I realized that I would need a jack and a prayer to crawl underneath and remove the last bolts. I value my life just a little more than a rare part, so I sadly walked away. This picture offers the best opportunity to discuss the engine, which is the standard 292 Y-Block, an engine that may be more forgotten by the masses than the Edsel brand itself. The Y-Block may not have been the smashing success that the concurrent Chevy 265 and its myriad variants were, but it didn’t assault the nostrils with the scent of failure either. The “Ranger” Six was a delete option in Edsels that year, saving the buyer $97. In that case, why not just buy a Ford? Many did. 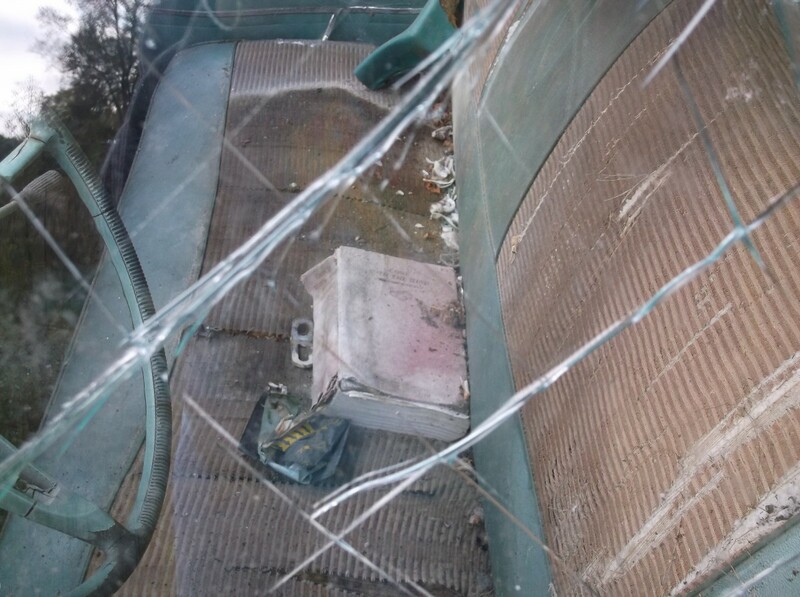 Appropriately, a roached and ravaged copy of Gone With the Wind sits on the front seat, as forgotten as the car itself. How did it get there? How does a car owner sell a car to the salvage yard without cleaning out his/her belongings? Gone With the Wind can’t be that bad; is this a silent literary protest from the dim, distant past? We’ll never know. The cargo area might resemble a neighborhood garage sale, but at least this image highlights the two-toned color, Sherwood Green over Polar White, that ostensibly was original to this wagon; although the piled up junk unfortunately obscures that seating status, rendering the six or nine-passenger determination impossible. For the record, the nine-passenger model was rarer, with only 59 made. Fifty-nine. Is this one of them? Are there others? In happier times, our featured Villager might have taken its owner fly fishing, mirroring this idyllic scene in the original brochure, a brochure that probably cost more to produce than the profit rendered by the entire 1960 production run. Time, of course, is kind to nothing but the reputation of the world’s greatest artists and leaders, and this junkyard Edsel is no exception to the rule. It has certainly been parked in the same location for several decades, and its next move is into the jaws of the crusher, which is why I contacted the Edsel Club. 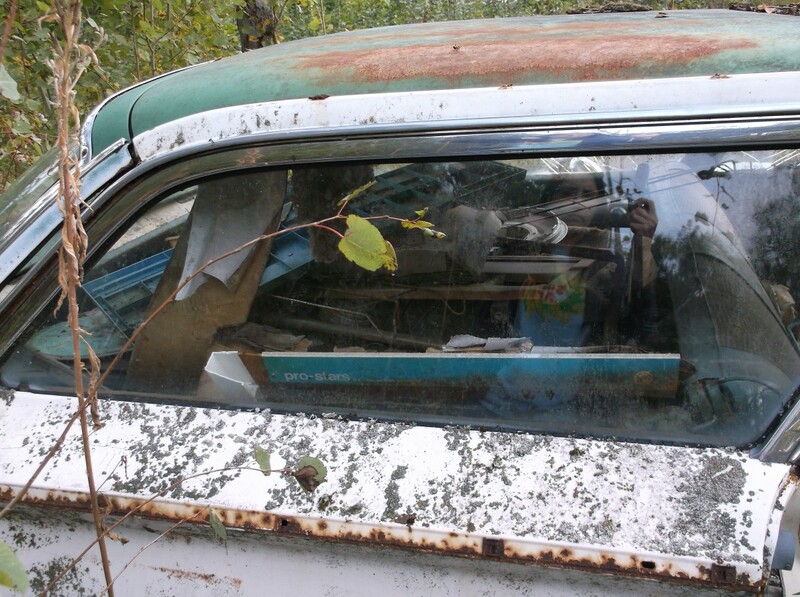 Even if the car cannot be saved, its trim and a few panes of glass can. Up front, I’m barely visible in my vain attempt to figure out the grille situation. The last Edsel was, sadly, the most conformist of the three model years, even though it shared a body with the relatively outlandish 1960 Ford. Edsel’s reputation, of course, is derived from the “horse collar” 1958 and, to a lesser extent, 1959 models. Those who deride the Edsel today are probably unaware that a 1960 model even limped out of the gate. 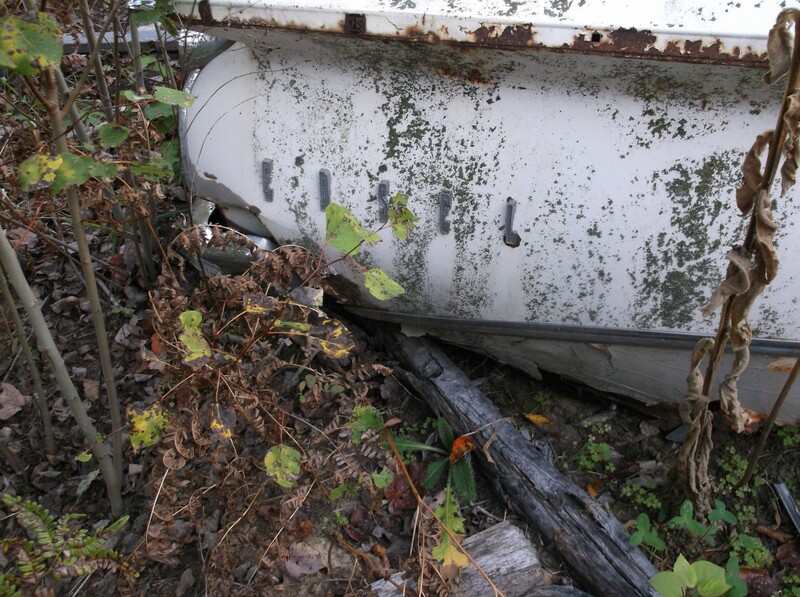 And although I’ve seen a few 1960 Edsels, imagine my surprise at this wagon hiding in the bushes, symbolizing someone’s market miscalculation, paying the price for someone’s mistake, the child of a misbegotten parent, perhaps wishing it had never been born. It’s easy for me to attach anthropomorphic characteristics to cars because I love them so much and I’ve taken them apart and reassembled them with my own hands. I’ve treated them with respect. I’ve given them homes and I’ve sheltered them. Remember the movie Cipher in the Snow, the one where the unloved kid died getting off the bus, died from a lack of love? That’s what I see when I see cars like this Edsel, and in a way, I feel like I’m a social worker for abandoned cars. But you can’t save them all, although it’s certainly cold comfort to admit it. It’s so sad when a rare car is left to rot. You did the right thing contacting the Edsel club. Was this just abandoned in a field or something? Or did someone “own” it? The 1960 is a very handsome car. This and the ’60 Ford were much better looking than the same year’s Mercury and Lincoln lines. In fact, I’d say the ’60 Ford and Edsel are almost as good looking as my two favourite American lines of that year, the 1960 Chryslers and the 1960 Cadillacs. Ford was making a classic mistake of status-acquisition. When you’re the jock, everything you do is popular because you’re popular. Ford was the nerd trying to dress like the jock, assuming falsely that actions will make him popular. Nature taught him the truth. It’s always better to plow your own field, perfect your own skills. Ford’s own skill was the ability to build ONE basic low-priced practical car in great quantities. The Falcon was at least a partial return to that skill, and Nature rewarded accordingly. The 1958 Edsel may not be the first example of badge engineering, but it was the first one my 14 year old eyes spotted. But it did have a push button transmission in the center of the steering wheel and a weird speedometer. By 1960, it was a Ford inside and [mostly] out with a different front and rear end. Even the push button transmission was gone. But that was just the beginning of badge engineering as we all know. I’m glad you didn’t try to jack up that wagon to get those last front grill bolts. That does not look like solid ground. Discretion is a wonderful thing. I may be wrong, but I think Mercury “shared” the pushbutton automatic with the buttons in the steering wheel hub. As a kid, I never noticed how a few cars were little more than “twins” of their corporate “sisters”, with the exception of some Dodges and Plymouths. My folks had a 49 and then a 51 Plymouth (my Mom’s cars), and those cars looked just a bit too similar to their contemporary Dodges for my taste. You got my curiosity up – a little Googling indicates that the Mercury pushbuttons were on the left side of the dash, much like Chrysler did. I think that the FoMoCo version was electro-mechanical, where Chrysler’s was purely mechanical. I think Edsel was the only one to put them in the steering wheel hub, and I’m not sure that those even survived to see 1959. As far as I know, at lease anecdotally, those Edsel hub based pushbuttons were problematic. My grandfather’s Edsel had the buttons, and they failed in short order. My understanding is someone put a lever type selector into the transmission tunnel of my grandfather’s car as a permanent fix. His next car – that I recall actually seeing, was a ’62 LeSabre. So, he was done with his ’58 Edsel after four years. There’s nothing anecdotal about it, the Tele-Touch was indeed problematic 🙂 . The mind plays tricks on you, I guess, as you are right….the Edsel had the hub pushbuttons, and only the Edsel. And FoMoCo must have dumped pushbutton transmission selection for 1959, as even the (slightly?) less trouble-prone Mercury pushbuttons were gone by 1959. Judging from the picture taken through the right rear door, I’m guessing this Edsel had a three-speed hooked to its 292. Another sign of the devolution of the Edsel, although there were a few ’58s built with a three-speed. In a sense, this wagon is symbolic of the entire 1960 Edsel model line – rare, overlooked, and few have any enthusiasm for it. However, for me, it’s the most attractive of the three years production. Great catch despite it being so unfortunate in outcome. This Edsel has a nicer looking grill. But it’s strange that there seems to be space between the dual headlights on the driver’s side but not on the passenger side. Maybe it’s due to the photo angle. I will suspect that when narrowed down to a group of “collectors” such as the ECOA, you’re again narrowing the likelihood of this wagon and the many others in the background ever getting saved. This car likely requires some extensive metal work and possibly chassis repair and better yet-modification and modernization that a customizer/fabricator would enjoy.. Care to make this orphan available as far as it’s burial location? It was at Hilliard’s Auto Salvage in Vestaburg, MI, as of last September, but that yard is now owned by Fair Salvage. This is their phone number if you want to ask a question: 989-386-7552. I’m like you. I see a car like this and I want to take it home and love it back to health. 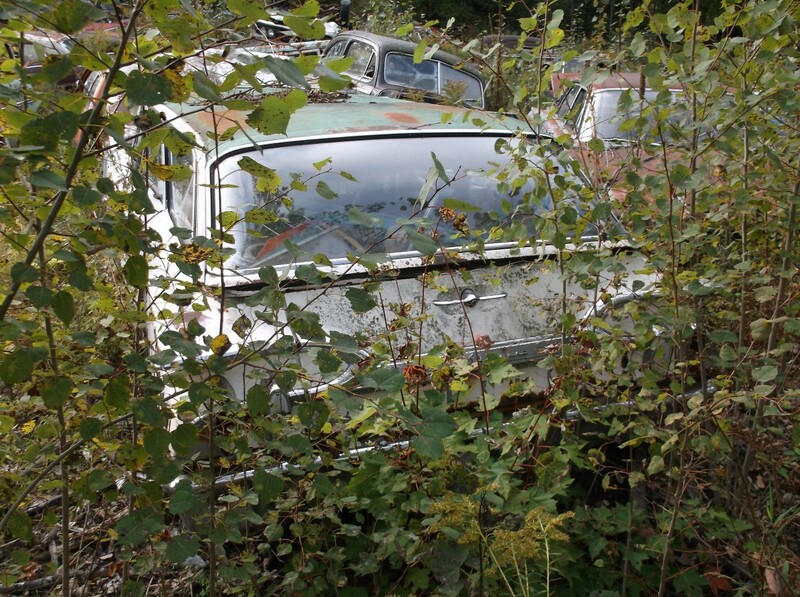 I see the car in the brochure, not the hulk that has spent decades rusting away in the weeds. Of course I realize that I have neither the ability or the resources to do what this car needs to have done to it. I wrestled with this dilemma recently when I came across a 58 Studebaker in the rare single year hardtop body in about this same condition. I wanted it badly, but reality finally took hold. The wagon is my favorite of the 60 Edsels. It will be too bad if this one gets away. …for a car worth no more than $35,000 at auction? Just guessing at the numbers of course, but the only way this Edsel is saved is for someone with deep, deep pockets and a lot of passion for THIS car to give it a shot. The difference between a speculator and a true lover of cars, Chas. … or one with the skills, the tools and the time. And there’s the catch. If I had a few more tools (like a massive compressor and sandblaster 🙂 ) and loads of time I could do it, therefore I feel compelled to do so. That would be the best idea (as long as you represent it as a “clone”). The only problem is that this wagon is missing some trim pieces, so it may be a tough one to pull off. 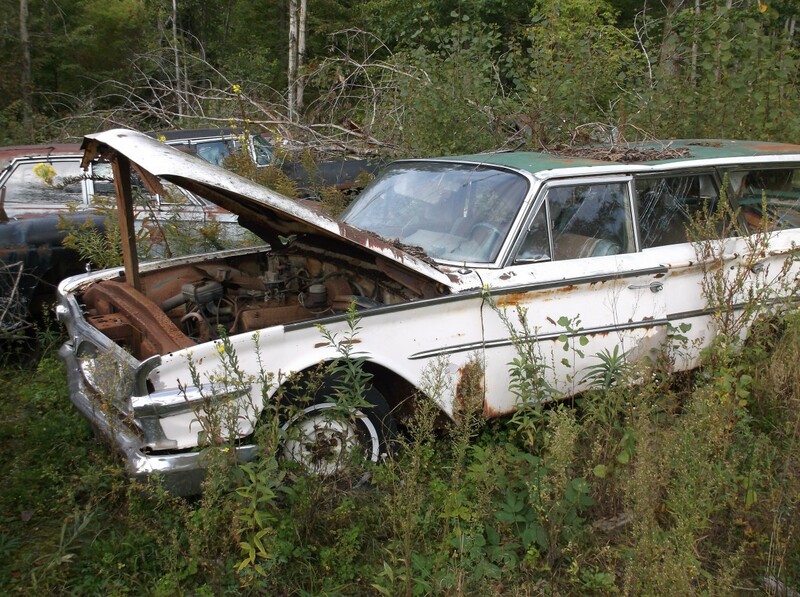 When I was in high school, a family down the street had a 58 Edsel wagon…..a Roundup 2 door. About the time I got my driver’s licence, that now 10 year old wagon was for sale for a couple of hundred dollars. I thought that wagon was THE neatest old car in town, and I wanted to own it. Unfortunately, my father wasn’t crazy about the idea of a 3rd car on his insurance policy. 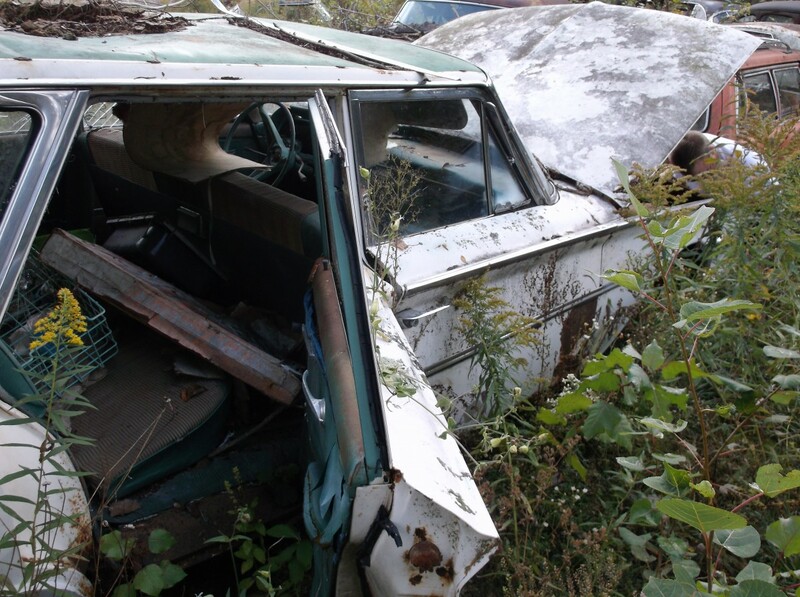 The car itself may be too far gone, but I hope it’s rare Edsel only parts get salvaged. I’m surprised that the Edsel club wasn’t interested. I interviewed an Edsel enthusiast many years ago and he said that, because of its scarcity, this year’s wagon is the holy grail for the marque’s fans. In 1958, Edsel had four lines — Ranger, Pacer, Citation and Corsair. Two of those nameplates met with mixed results when they were adopted by other manufacturers. The lineup was pared down for 1960, but the Comet originally was conceived as a companion to the full-size cars. iirc, the 60 convertible is the rarest with something like 75 built. but wagons tend to be used up and thrown away, while people might take better care of a ragtop, so there may be fewer wagons surviving. Very well written. Love the “social worker for abandoned cars” line. Love the “social worker for abandoned cars” line. +1. My one car garage has prevented me bringing home a motley collection of cars over the years, everything from Larks to Ramblers to 70s VW Dashers. Too bad about that Edesl wagon just wasting away. This body style has become popular with collectors as desirable convertibles and two door hardtops are becoming more scarce or priced too high. I’d be happy right now to get my hands on almost any type of station wagon. Even in the Internet age it is amazing how parts that someone would pay good money for are hidden all over the place, and are so hard to get to the person that wants them. 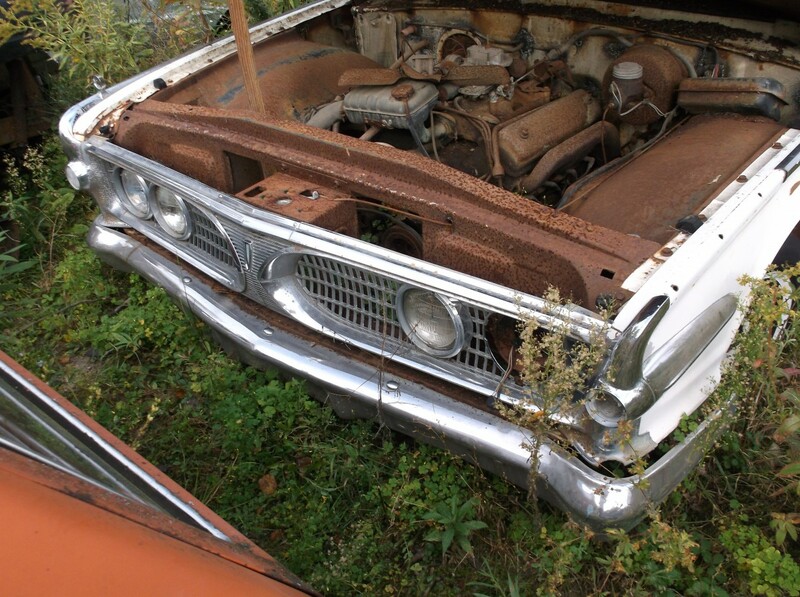 Looking at both websites, an orphan ’60 Edsel has a problem. 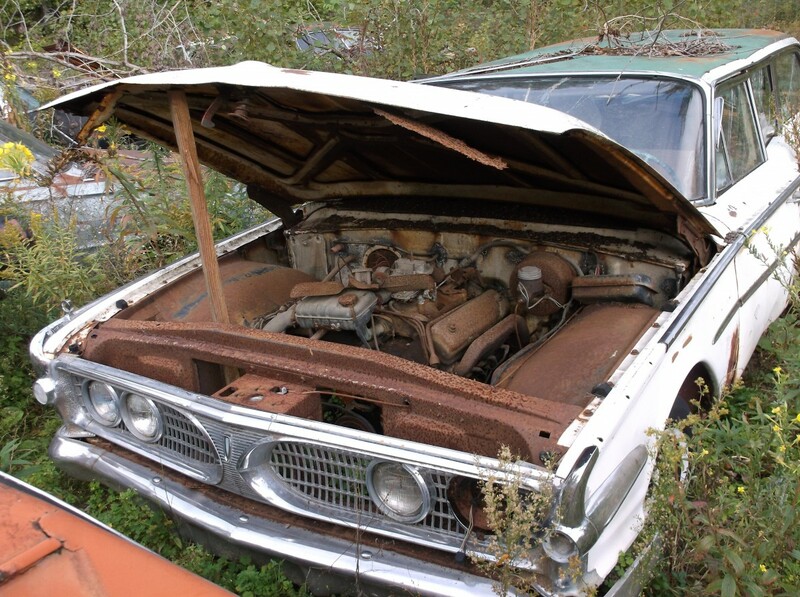 The ’60 Edsel is so rare, there are probably very few people looking for parts for them. The ’58 is an iconic car that sold in decent numbers all things considered, and there seems to be enough demand that reproduction parts are available. The ’59 gets honorable mention, and the ’60 is almost never mentioned. Too bad you could not get the grill. It looks pretty good, and would look great on a garage wall. As one who’s spent most of his career building up vehicles out of junk and left overs , I look at this would would cheerfully drag out out of the mud and hold onto it for the treasure trove of unobtanium fasteners , window lifts , probably cherry cylinder head cores , on and on . No one would ever waste time trying to resurrect this but the original parts it contains are priceless . As scrap this is worthless due to rust . I’m now waiting for TEN YEARS worth of cool old Junk Yard photos Arron ! . With only 275 of these ever made 56 years ago, there are not many people today who have any warm memories of one. This is a case where rare doesn’t mean desirable or valuable. Given the condition of this one I’d say that at least it will live on in these pictures. It’s future is not bright. What a find! 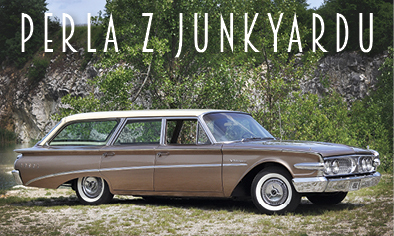 Any ’60 Edsel is a rarity, but a wagon? Wow. It’s a shame how far gone it is…but those parts would be gold to the right person. Finding that right person? Another story. For those parts that are impossible to get to with the car sitting in the weeds like this, one would think the best route would be to get back there once they’re dragging the cars out, and see if it could be accessed on more solid ground before it makes its final trip into the crusher (or onto a flatbed headed there). Of course, figuring out exactly what day that would occur would be difficult to say the least. I, too, love the “social worker for abandoned cars” title. I wish I could be that person, but I have neither the skills nor the space nor the tools, plus being the current owner of two non-functional vehicles that need nursing back to health. 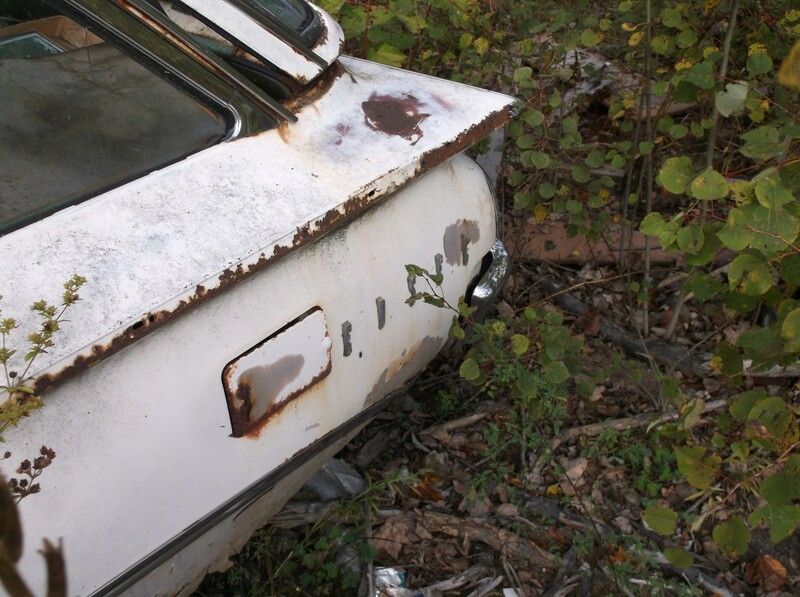 But one always sticks out in my mind–an old salvage yard in Greensboro contained, when I was a high school student, a ’59 or ’60 Lincoln Premiere. Complete, even including all the glass, minimal rust, and sitting off in a back section of the yard (on top of a Corvair, as I recall). Off the road since ’79 judging by the registration sticker. Oh, how I wanted to take that car home with me. Even without a title, even in a non-running state, even with everything that would need replacing after 20 years of idleness, I wanted it. Badly. I knew I didn’t have the skills, time, tools, or most importantly money, so I never even asked about it. But I still wonder if there’s some small chance that car was saved. Yard closed years ago and is but a memory now. I hadn’t known that the last Edsels looked like Pontiacs. While working on my degree I had to write a paper on why the Edsel failed. Basically, making it was a ridiculous mistake. Market research was done to evaluate the name; the results were negative but they used it anyway. I found an article in which the author stated that the Edsel was an investment in management ego. There was absolutely no good reason to introduce it. It did not fit into any empty market segment and it had no outstanding characteristics. … the author stated that the Edsel was an investment in management ego. Hubris strikes again, like Chrysler in the 80s, barely recovered from it’s brush with bankruptcy, buying Lamborghini. or VW, which built it’s business on small, inexpensive cars, building the Phaeton. The top dog gets and idea, and, no matter how harebrained, the yes men he has surrounded himself with all proclaim the brilliance of his utterance. Aside from the taillights, that’s not a bad looking car. Maybe if it had been the first Edsel, things might have turned out differently. Sure hope someone can find some sort of use for the junkyard feature car. Has anyone done a study of how many automakers go toes up mere months after bringing out a new model? The money Ford spent on the tooling for the new styling elements and publications must have been significant. Studebaker threw in the towel in South Bend 3 months after introducing the restyled 64 models. While production limped on in Hamilton for a year and a half, who would buy a Studebaker at that late date, when they are obviously headed for the grave? The Motor Muster is on at Greenfield Village this weekend. When I renewed my annual membership, they sent me a voucher for a free pass for a “guest”. I already tried to give the pass away among my Facebook contacts, but they all either have other plans or have their own annual memberships and have been trying to give their free guest passes away. Who wants to meet me at the entrance to the Village this weekend and get in free? Lovable orphan, indeed. Poor Pontiac Galaxie! Loved reading this, Aaron – great job. This reminds me of the time a guy pulled into the parking lot of the store I worked, driving an Edsel 2-door station wagon. I don’t recall what year the car was (1958, maybe? ), but until that time, I didn’t even know there HAD been a 2-door station wagon in the line. Seems that someone could grab this ’60 and take the rare parts from it. OK, what will it take to get someone there who can take the grille, badges and other trim parts off. Any interior badging too, I think there is an Edsel badge on the glove box of these. I am willing to make it worth someone’s while, within reason. To the extent the term “reason” can be applied to my purpose in collecting these parts, which is that I have a long term goal of getting a Comet and making it into the Edsel it was supposed to be. Perhaps a ’60, but not necessarily; I think some other years of Comet could be Edselized..
Wow, never seen a Edsel wagon from 59 the Ford wagon is reasonably familiar there was one that had been rear ended at a wrecking yard I worked at when at school the tailgate was gone and it was used as a tow car replacing a Chrysler Windsor that had been rolled but the Edsel has many different details I notice cool car and an improvement visually over the previous efforts. I know its super late for a comment…. but the good parts to save would’ve been the tail light lenses, the tail light bezels and surrounding potmetal, the E D S E L on the tailgate (if it was still there), any Villager script still on the vehicle, and the brake booster! I guess theres not much to be done now.